Enjoy a deeply restorative massage right at home in Menlo Park, CA with Zeel. The best spa in Menlo Park is now your living room since you can book a Zeel Massage right to your doorstep in as little as an hour. A massage therapist will come to your Menlo Park home, hotel, or office in as little as an hour, or schedule in advance. Relax and recuperate with a spa-quality massage in the comfort of your Menlo Park home. There are over 9,000 massage therapists in the Zeel network nationwide. Here are a few that are available for in-home massages in Menlo Park. Certified massage therapist Arielle-Marie is a graduate of the National Holistic Institute's 900-hour program, where she trained extensively in a number of massage modalities including Swedish, deep tissue, lymphatic drainage, shiatsu, sports massage, and myofascial release. She is also pursuing additional certification in neuromuscular therapy. Specializing in therapeutic massage for musculoskeletal conditions, Arielle-Marie customizes each session to unique needs and preferences, from focusing on specific issues to relaxation for overall wellness. Experienced and compassionate certified massage therapist Dulcinea has been practicing since 2010. Originally licensed and certified in Ohio, Dulcinea became the lead therapist at the Woodhouse Day Spa, a world-renowned spa in Columbus, and was personally featured as a massage therapist in Capital Style Magazine. Since relocating to California, Dulcinea is employed at the prestigious Spa Los Gatos. She has advanced training in many therapeutic modalities, including Swedish, deep tissue, sports, prenatal, aromatherapy, trigger point, myofascial release, reflexology, Lomi Lomi, four-handed, craniosacral, and Shirodhara. 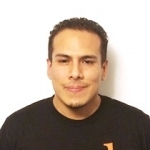 Juan is a graduate of the San Francisco School of Bodywork and Massage and boasts over 1000 on hands-on training in both Eastern and Western massage modalities. He is experienced in techniques that range from Swedish, Shiatsu and prenatal massage to Thai Massage, lymphatic drainage and longitudinal release. Juan is completely fluent in both English and Spanish. 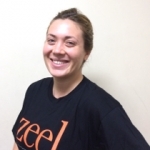 Zeel offers the experience of a high-quality mobile massage in Menlo Park, CA. What better place for mobile massage than Menlo Park. No need to trek off the Peninsula to downtown San Francisco or Palo Alto for luxury: Zeel delivers spa-quality massages to your doorstep - with the added benefit of convenience. With just a few taps on your smartphone, an expert Menlo Park massage therapist arrives at your door, providing in-home, at work, or in-hotel Massage On Demand in as little as an hour. Technology meets luxury meets simplicity and ease: That is the Zeel Massage way. Experience the convenience, quality, and comfort of a Menlo Park mobile massage with one of Zeel’s experienced massage therapists. We are always on call in San Mateo County. Choose from our wide menu of massge techniques—Swedish massage, deep tissue massage, sports massage, prenatal massage, couples massage, or even back-to-back massage. It’s up to you. Avoid spending time searching "best massage in Menlo Park". We want to make it as easy and luxurious as possible. Order your Zeel mobile massage in Menlo Park, CA today. Zeel provides Swedish massage, deep tissue massage, prenatal massage, sports massage, couples massage, and chair massage in Menlo Park.